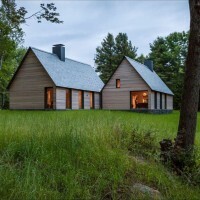 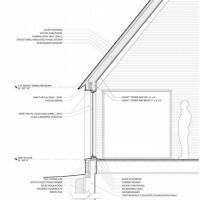 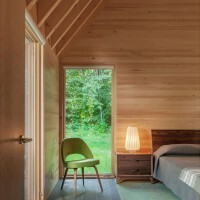 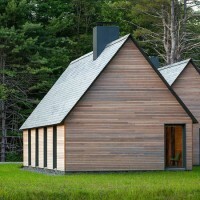 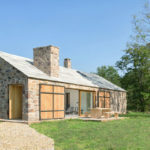 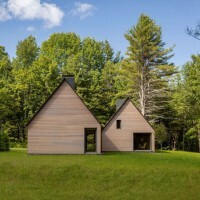 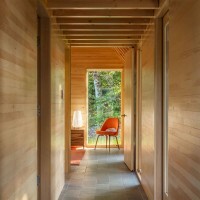 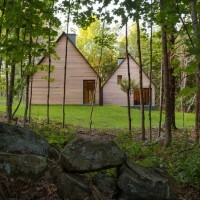 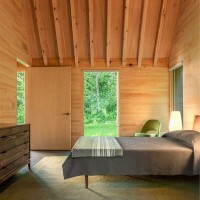 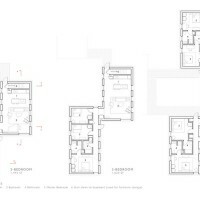 HGA Architects have designed a group of cottages to provide senior musicians accommodation at the Marlboro College campus in Marlboro, Vermont. 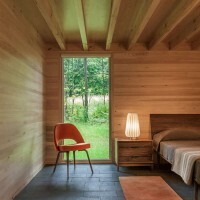 Since 1951, generations of classical musicians have participated in Marlboro Music, a seven-week summer festival where young musicians collaborate alongside master artists on the tiny Marlboro College campus. 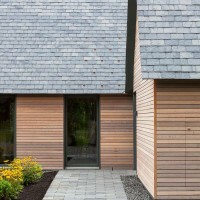 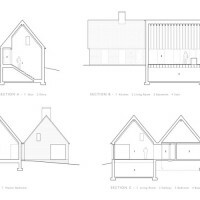 Housing senior musicians on a15-acre site adjacent to campus, these five cottages find inspiration from the campus vernacular, reinterpreting the familiar Cape Cod forms of gabled roofs and unadorned walls into a modern expression that still blends with the setting. 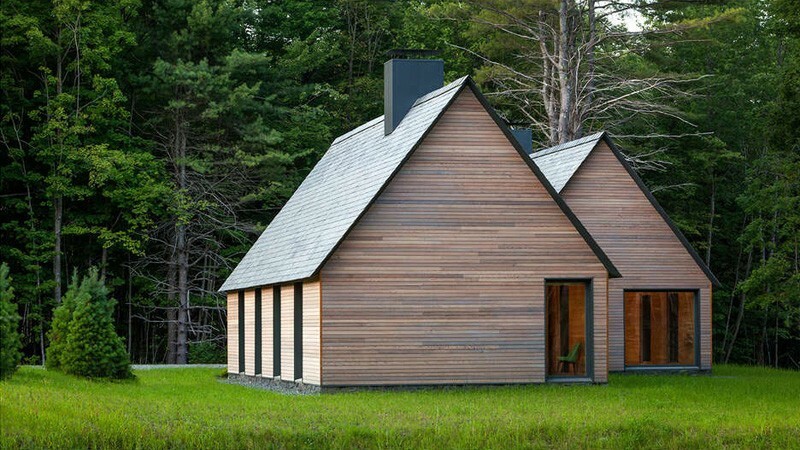 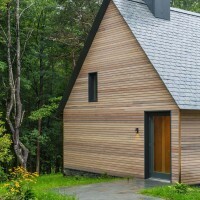 Bypassing traditional white clapboard, the cottages are clad in red cedar planks to blend into the woodlands. 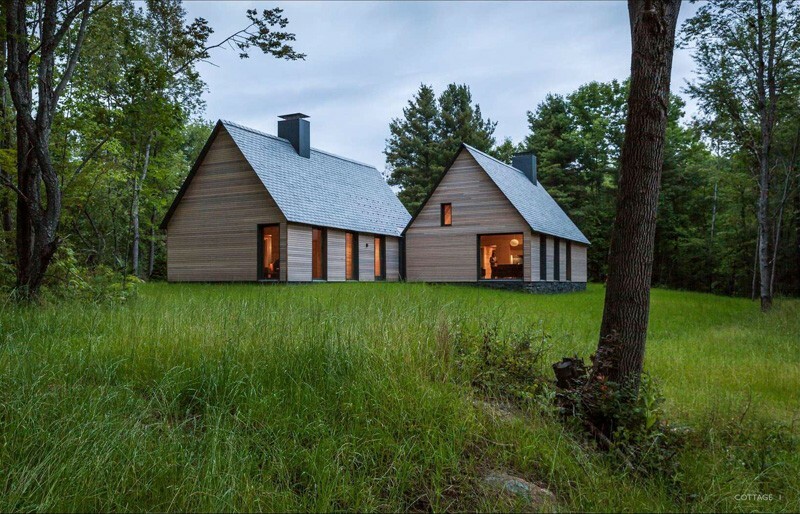 Gabled roofs sheathed in Vermont slate soar skyward as indigenous fieldstone bases anchor the cottages to the land. 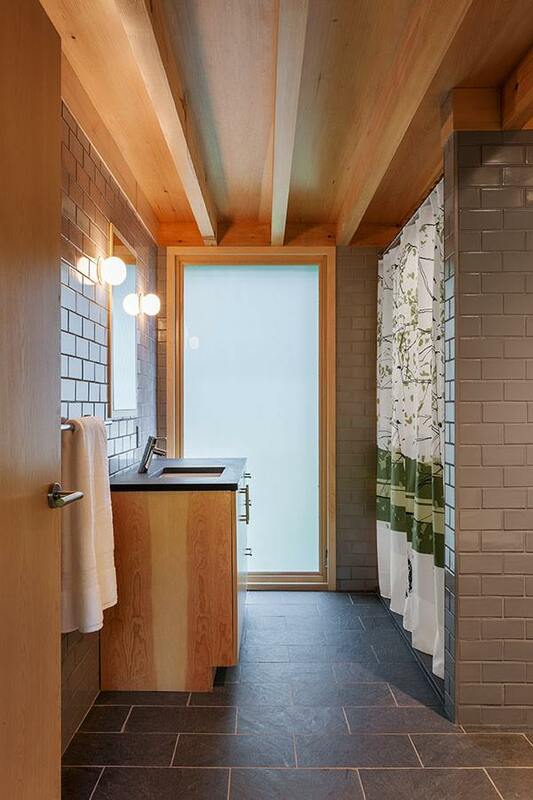 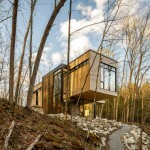 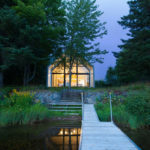 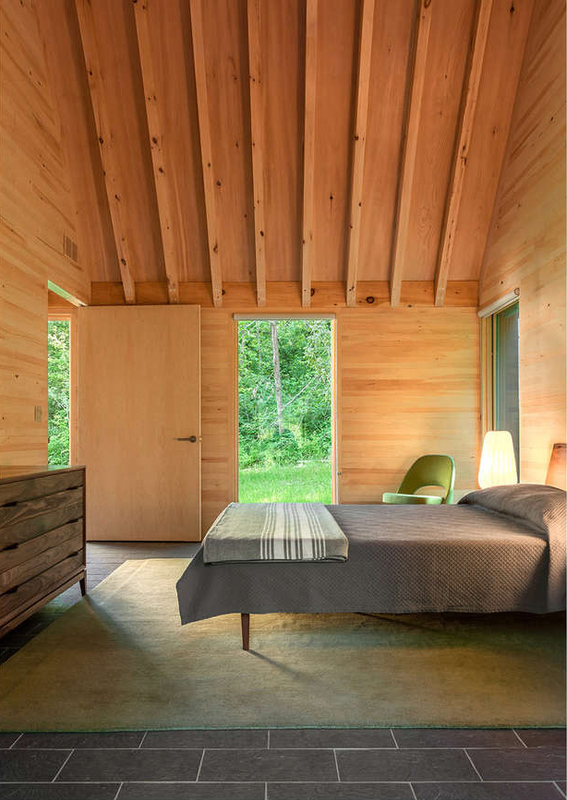 Inside, large operable windows frame views of the forest and fill each room with daylight. 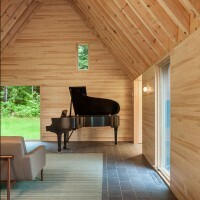 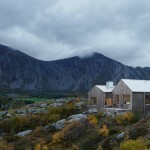 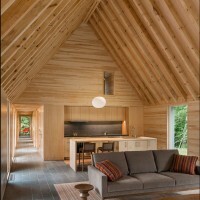 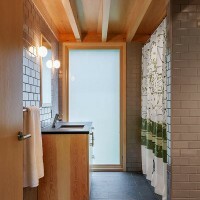 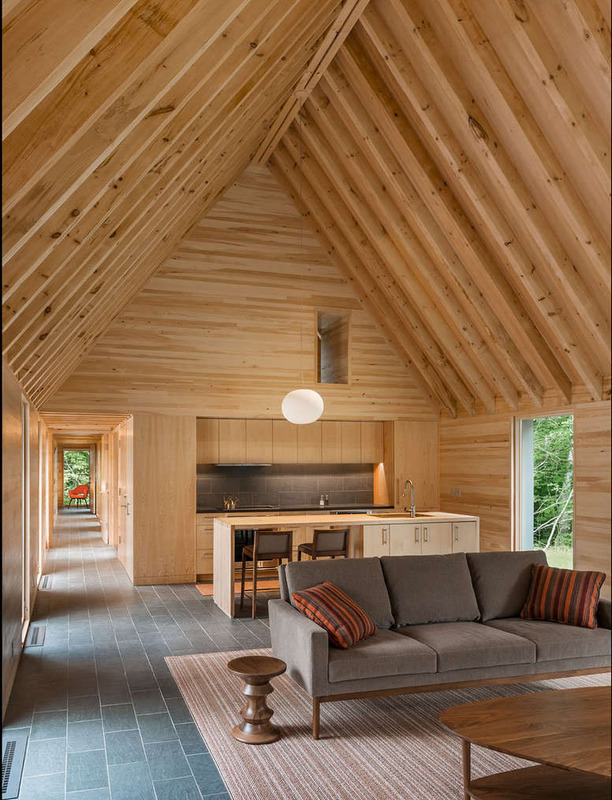 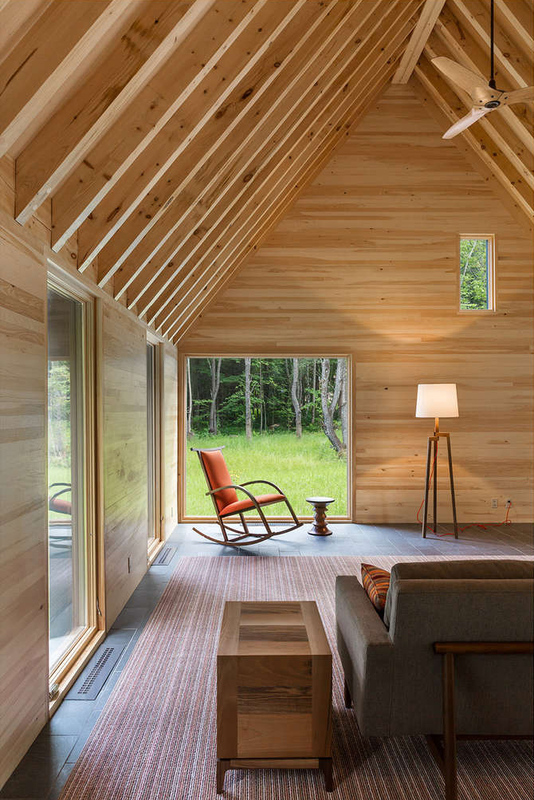 Locally sourced white pine walls and ceilings and Vermont slate floors compose a simple yet durable palette of natural materials, reinforcing an interconnection between music and landscape, exterior and interior.